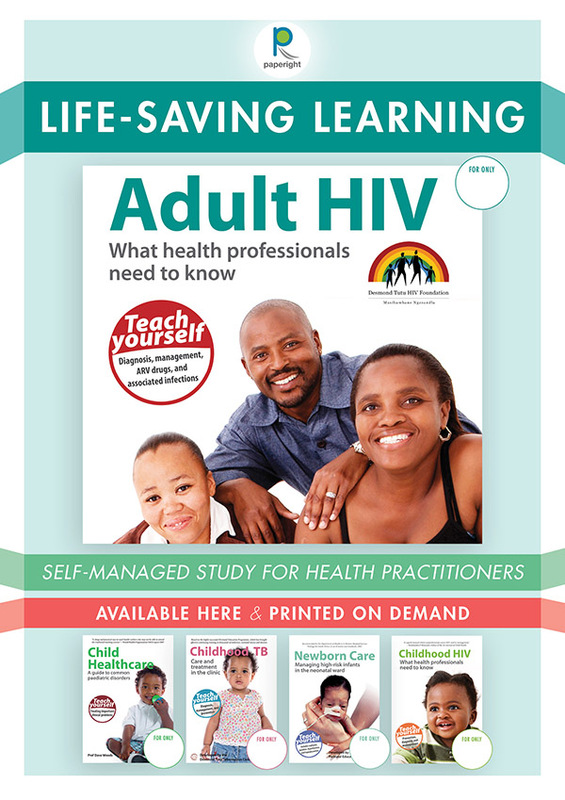 EBW Healthcare publishes an innovative series of distance-learning books for healthcare professionals, developed by the Perinatal Education Trust, Eduhealthcare, the Desmond Tutu HIV Foundation and the Desmond Tutu TB Centre, with contributions from numerous experts. Their aim is to provide appropriate, affordable and up-to-date learning material for healthcare workers in under-resourced areas, so that they can manage their own continuing education courses which will enable them to learn, practise and deliver skilful, efficient patient care. Health practitioners and facilitators from around Africa say that wherever EBW Healthcare’s books are studied, the quality of care improves, so much so that many of the educational methods developed by the Perinatal Education Trust are now being adopted by the World Health Organisation (WHO). Paperight is proud to have these lifesaving manuals – covering topics as diverse as perinatal care, birth defects, and adult TB care – in our print-on-demand library. To find a list of all healthcare manuals published by EBW Healthcare, simply click here. Next Next post: We won an SAB Innovation Award seed grant!